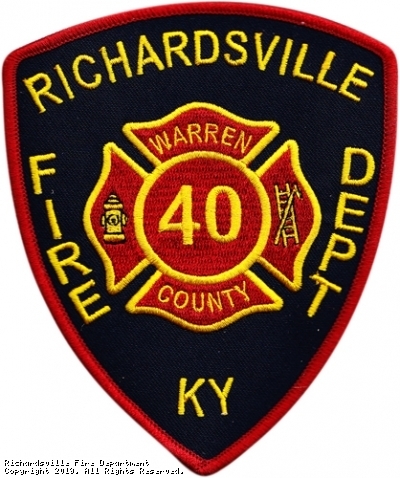 The Richardsville Fire Department covers approximately 126 square miles in northern Warren County, Kentucky out of 6 fire stations. This means our department covers one of the largest fire districts in the Commonwealth of Kentucky! Our population according to the 2010 census is approximately 11,386. We are currently averaging around 950 runs per year which includes medical assists, structure fires, vehicle fires, brush fires, vehicle accidents, hazmat incidents and many other types of runs. We have a fleet of 12 apparatus including 6 engines, 1 tanker, 2 brush trucks, 2 water rescue boats, and 1 6x6 all terrain vehicle. 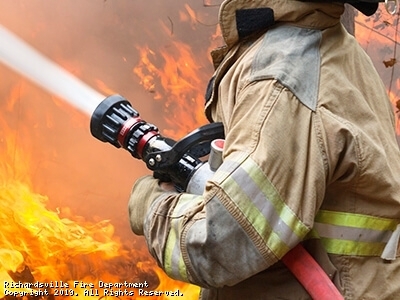 We receive automatic mutual aid for structure fires from Gott, Smith's Grove, and Barren River fire departments and we provide automatic aid to them as well. We also have mutual aid agreements with the remaining 5 county volunteer departments, the city of Bowling Green Fire Department, and neighboring county departments when requested. We are pleased that you have stopped by to check out our website and we hope you find all the information you are looking for! If you have any further questions feel free to contact us! Be sure to like us and Facebook and Twitter to stay up to date with everything RFD is doing! Signs are IN STOCK! Place your order today! Click Below to Order Your Sign TODAY! You get a reflective BLUE sign with 3" White reflective numbers on it for only $15.00. All proceeds benefit Richardsville Fire Department. 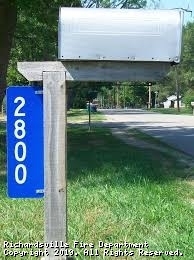 The standard size for mailbox signs is 6" x 18". Sign blanks are made of .063 gauge aluminum which means they will not rust and are heavy enough not to be easily bent. Both the background and numbers are made of reflective vinyl (not painted) which also should last for many years. Signs can be made for vertical or horizontal mounting. Please specify on your order form. If you plan on burning, please adhere to the following guidelines and be sure you have a water source available. 3) What you plan to burn 4) How long you think the burn will last. Doing this will help prevent unnecessary responses by Fire Department Personnel! During fire seasons, it is illegal to burn anything within 150 feet of any woodland or brushland between the hours of 6 a.m. to 6 p.m.
Spring Forest Fire Hazard Season: Feb. 15 - April 30. Fall Forest Fire Hazard Season: Oct. 1 - Dec. 15. Open burning regulations are enforced by the Division for Air Quality. 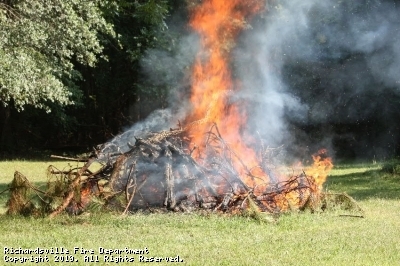 It is illegal to burn garbage or any other materials, except natural plant matter, such as brush and woody debris. Visit the Division for Air Quality Web site for more information. Before conducting any outdoor burning, citizens should check with their local fire department and county government to find out about restrictions and local ordinances. Kidde Recall informationClick the Above link to learn more about the Kidde Smoke Alarm Recall. Pancake Breakfast, Gun Raffle, and Silent Auction Fundraiser!! RFD is Now Recruiting for Our 2016 Recruit Class!! Site for Warren County EMA, has information on disaster preparedness, local emergency planning, and more. Plano fire department is one of the 9 departments that cover Warren County outside the Bowling Green city limits. They are a mutual aid department for Woodburn and Alvaton Fire Departments. 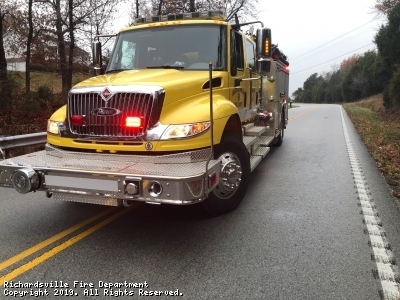 Barren River fire department is one of the 9 departments that cover Warren County outside of the Bowling Green city limits. They are a mutual aid department for Browning, Hadley, and Richardsville Fire departments.